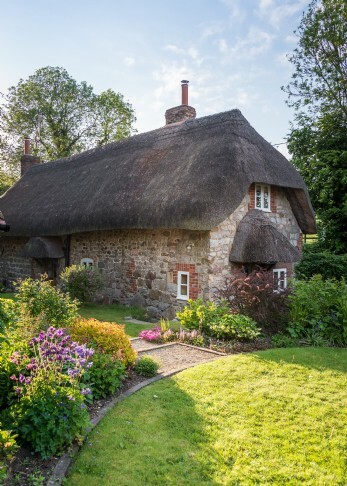 Thatched with golden wheat straw and sprinkled with magic, Faerie Door Cottage is a dream holiday cottage plucked straight from the pages of a story book. 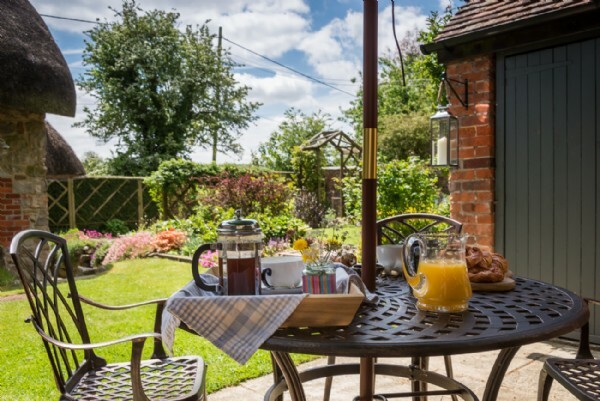 West Overton provides an idyllic village setting for luxury self-catering cottage breaks in Wiltshire, and once you've stumbled upon this humble country cottage with its pretty gardens and scrumptious interiors, you will already be planning your return! 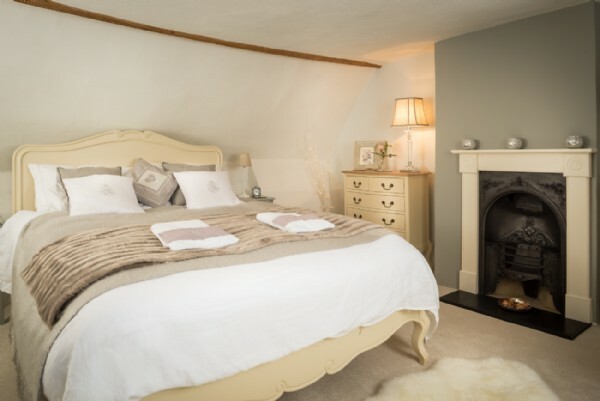 Wander down the church path in the charming village of West Overton and discover this little pot of gold at the end of the lane… A fairytale cottage with a grown-up guise, this luxury self-catering cottage is set in the heart of the Wiltshire countryside. 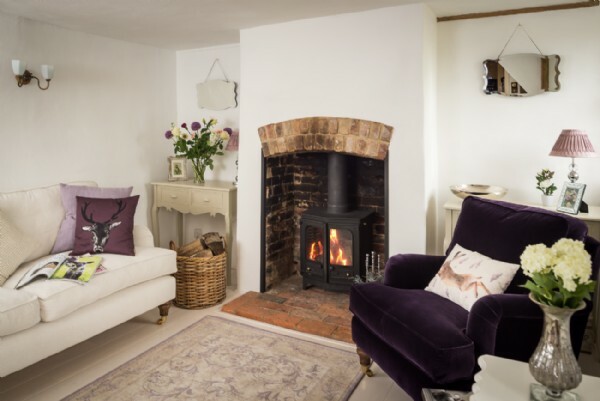 Inside, muted pinks and lavender minks soften the heavy oak beams and terracotta stone floors, which glow a warm ginger beneath the two flickering log fires. 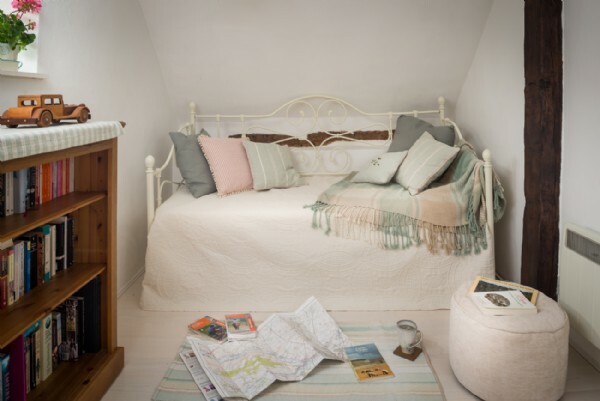 With country walks all around and the classy market town of Marlborough nearby boasting over 200 boutique shops along with a twice-weekly market, both rambler and trendsetter-types will be perfectly placed on a break at Faerie Door Cottage. 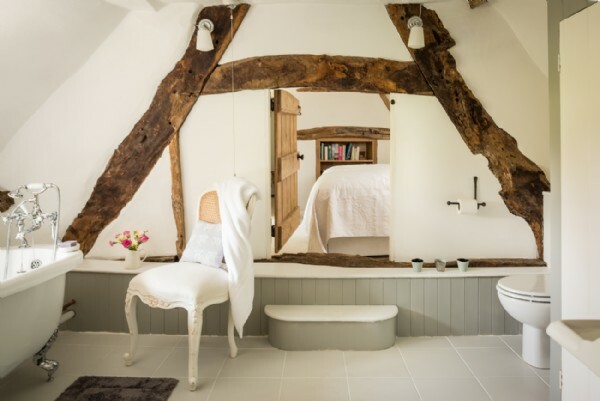 The quirky design of this 17th century cottage is sure to charm. 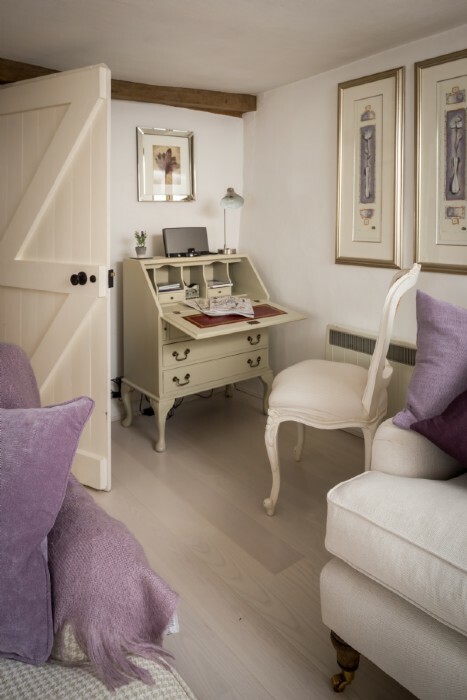 Two spindly staircases lead up to the dreamy first floor; the first arrives in the king-sized master bedroom, whilst the other takes you up to the cosy snug area. 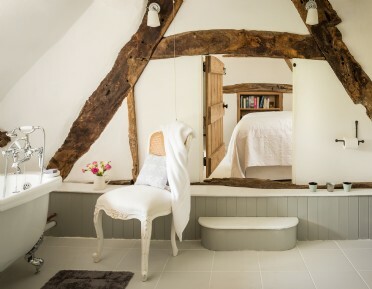 There is a zip-and-link bedroom which leads through from the snug, and through the old faerie door on the other side is the beautiful family bathroom, which shares Jack and Jill access with the master suite. 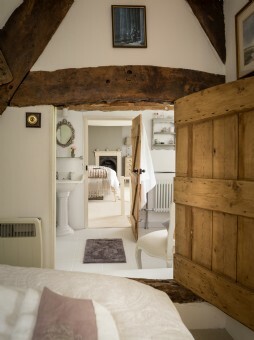 There is also a ground floor shower room with WC. 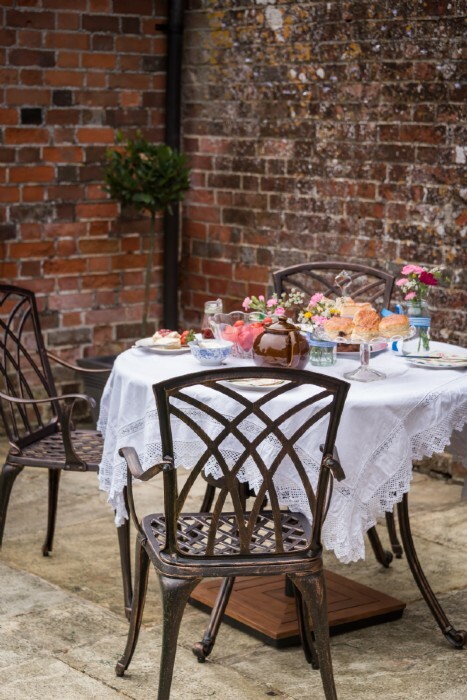 High teas in the garden on clement afternoons will be the order of the day. 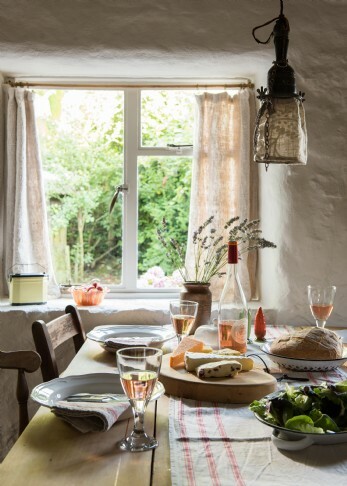 The owners provide outdoor crockery and a blanket for those who prefer to go on an adventure and find a secret picnic spot of their own. 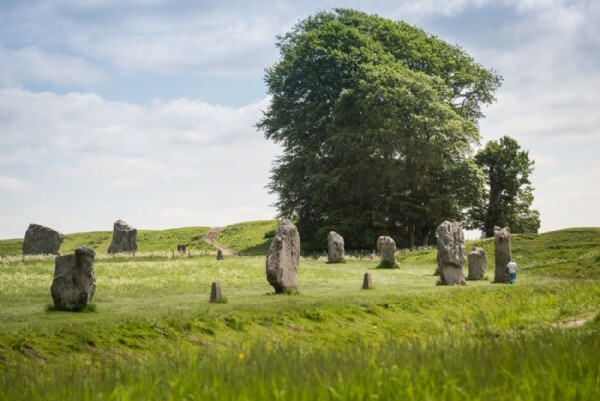 Whether it be a Site of Special Scientific Interest or a supreme stately home, there is plenty for culture vultures to see close by including the mystical stone circle at Avebury along with Stourhead, Lacock Abbey and Longleat House. 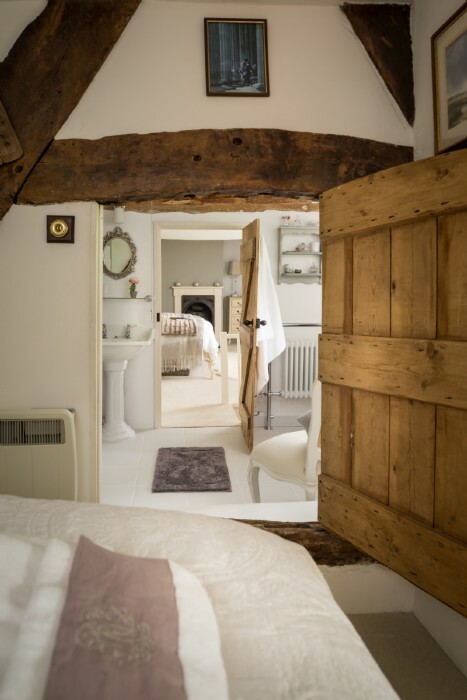 When winter casts its frosty spell over England, Faerie Door Cottage offers a cosy haven where couples and families can escape. 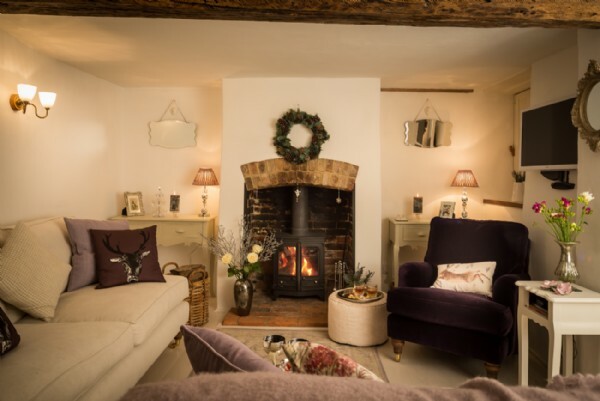 Light the wood burners after a day of building snowmen and let the atmospheric glow warm you from your toes up. 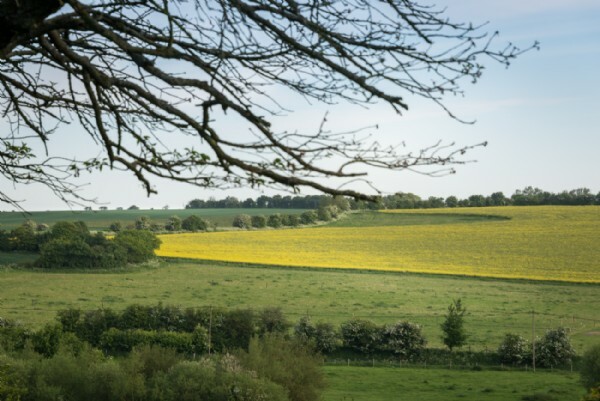 After a lazy Sunday morning, take the scenic two mile walk through Kennet Valley to The Outside Chance and tuck in to their legendary roast beef dinner- don’t forget a torch for the walk home after a few local ales! 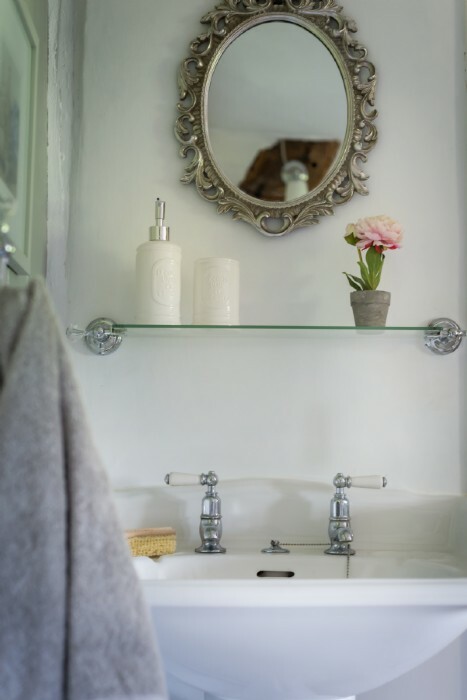 A steamy soak in the traditional roll top bath will make for a divine end to the day in this luxurious home-from-home. There is off-road parking for one car and space for another on the roadside. 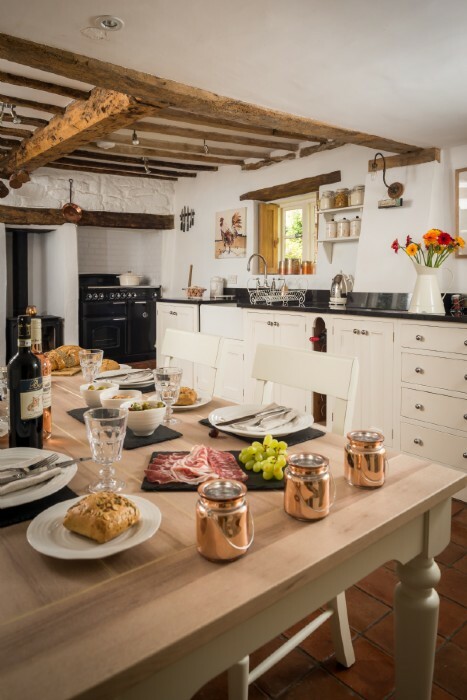 The kitchen includes an electric oven with grill and induction hob, a fridge, freezer, dishwasher and combined washer dryer. 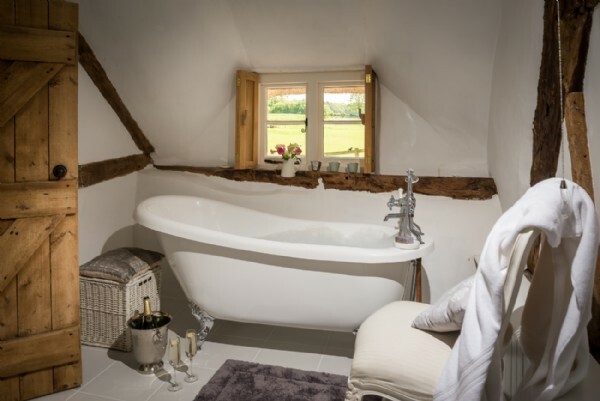 There is underfloor heating in the bathrooms. Parents are advised to supervise young children in the garden, which features a pond and slight drop with concrete path. 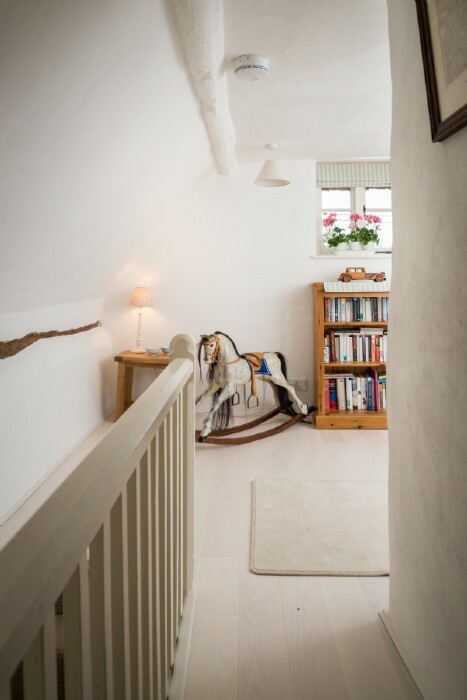 Steep steps and narrow staircases all add to the authentic cottage charm but do mean that due care should be taken. 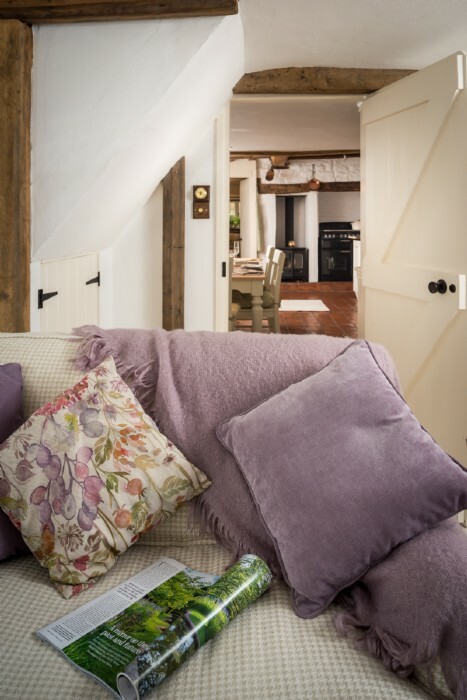 Style: In their tender restoration, the owners picked local artwork and fabrics in theatrical purple to offset the Farrow and Ball whitewashed walls and give this humble English country cottage a sprinkling of glamour. 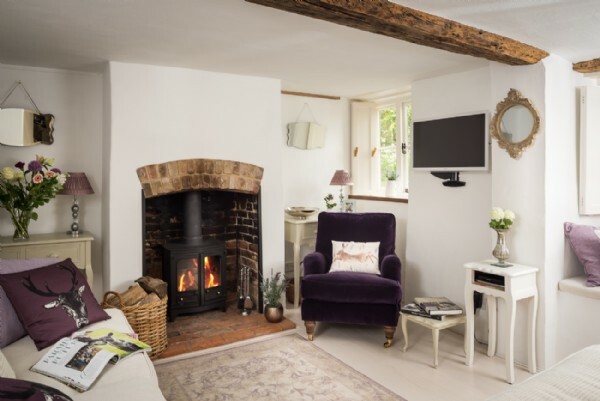 In winter you can sit in the kitchen armchair with a glass of wine and chat to the chef while the terracotta tiles glow in the light of the woodburner and you enjoy its warmth! In summer there´s nothing prettier than our garden, planted with a bright assortment of flowers and rich with their scent. 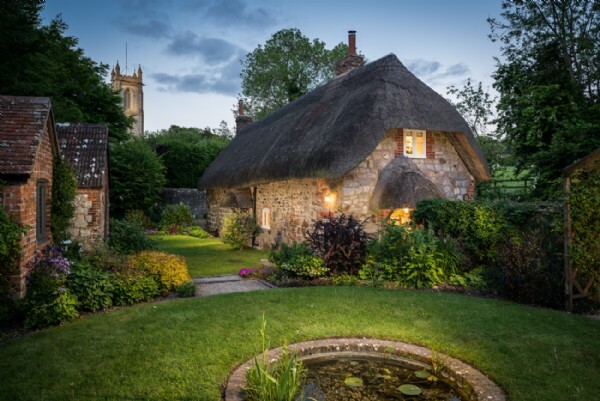 Discover places to see and things to do whilst in and around West Overton, Wiltshire to truly enhance your stay come rain or shine! 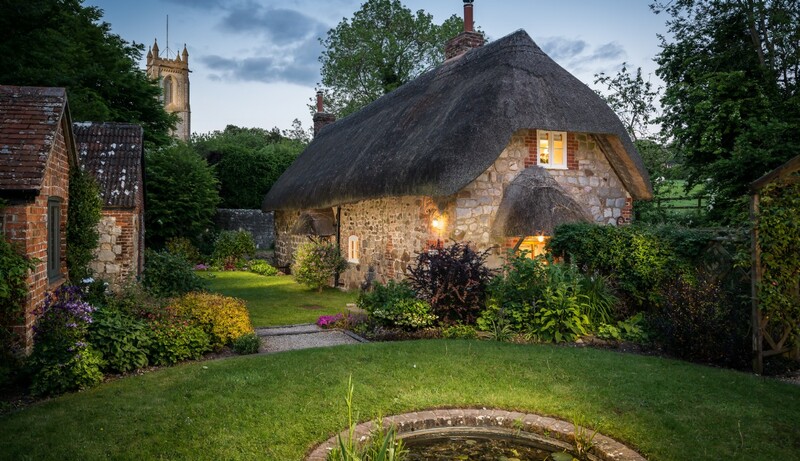 Wiltshire Where else in the UK can you find England's first safari park, the UK's tallest cathedral and the highest concentration of prehistoric sites in Europe? With Longleat Safari and Adventure Park, Stonehenge and the cathedral spire in Salisbury - Wiltshire has it all! Barge around Britain Cruise along one of England’s finest canals, by self-drive narrowboat or a traditional barge tour. The Kennet Horse Boat Company offer both of these alongside horse drawn cart tours for a relaxed and nostalgic experience. 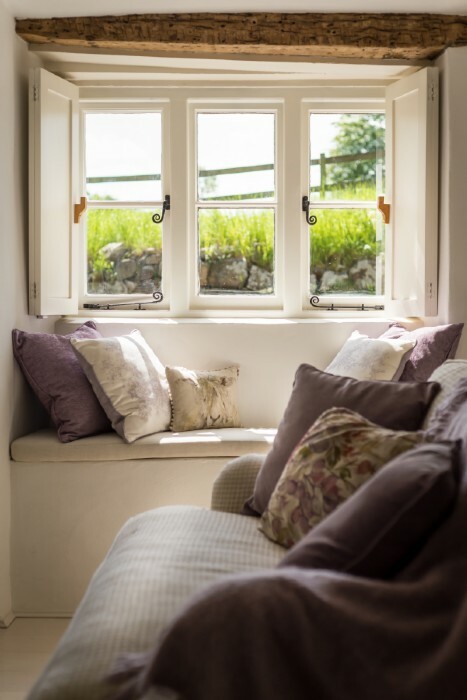 Escape the madness of modern life, sit back and soak up the rural surroundings all around. Stonehenge This compelling ring of monolithic stones has been attracting a steady stream of pilgrims, poets and philosophers for the last 5000 years and is still a mystical, ethereal place – a haunting echo from Britain's forgotten past, and a reminder of those who once walked the ceremonial avenues across Salisbury Plain. Salisbury Cathedral This spectacular 13th century Cathedral is an early English gothic style structure which boasts both elaborate exteriors and ostentatious interiors. Experience a daily Tower Tour of the outstanding statues, impressive tombs and see an original copy of the magnificent Magna Carta. 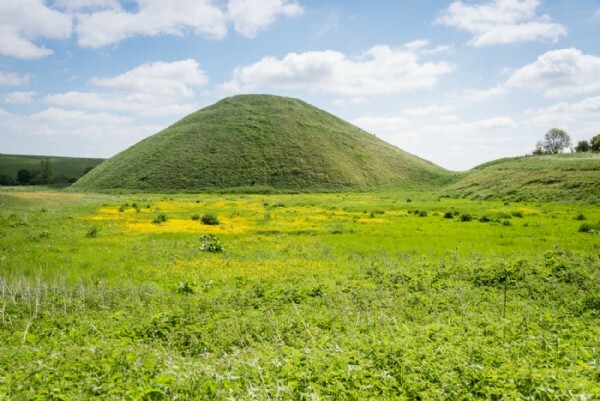 World Wonder Visit one of the wonders of the world and best-known prehistoric monuments in Europe. Stonehenge attracts crowds from far and wide, especially over the summer solstice celebrations. 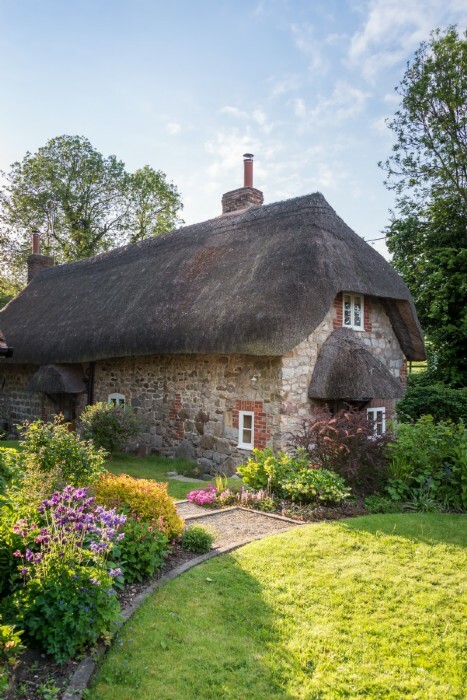 Explore the Neolithic houses, the surrounding ancient landscape and visitor centre with 250 ancient artefacts on display. 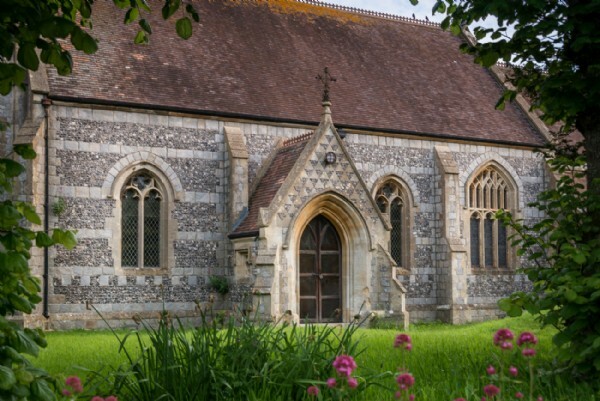 Marlborough This classy market town offers an abundance of shopping outlets and excellent eateries. Wander down Old Bath Road for chic boutiques and stop off at some of its traditional tea rooms as you go! Saddle Up Enjoy country hacks and beautiful bridleways with one of the friendly local riding schools. Pewsey Vale Riding Centre comes recommended with its variety of horses, lessons and booking options available to suit all abilities. 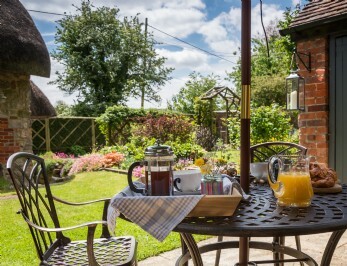 South-facing, the sun-drenched garden is a delightful setting for al fresco barbecues. On rainy days, light the fire in the kitchen, put a favourite soundtrack on and spend an afternoon cooking up a wholesome stew. 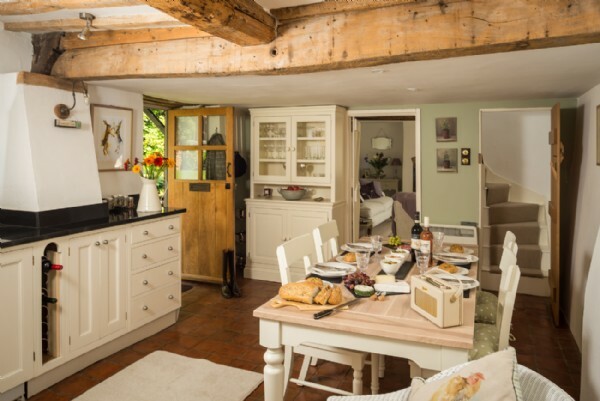 The kitchen has a spacious dining area as well as all the modern conveniences, so the whole family can get involved. 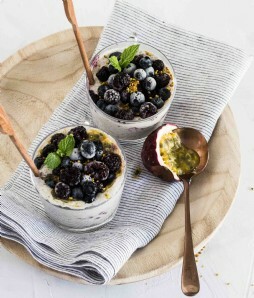 If you'd rather spend your self-catering break indulging in the little luxuries, let an in-house chef prepare a mouthwatering meal for you and your party (on prior request and subject to an additional cost). 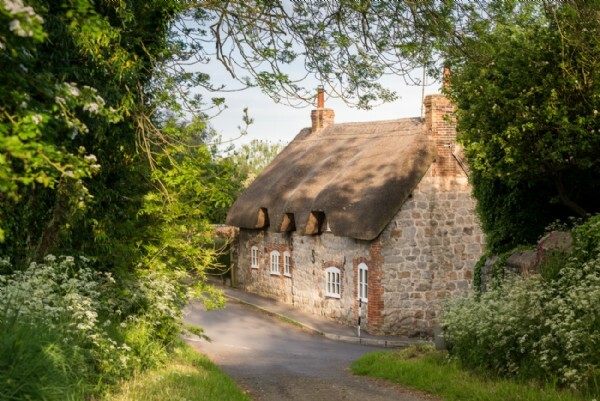 Set on the corner of the village beside a country lane, Faerie Door Cottage is within easy reach of some excellent eateries. The Bell is an easy five to ten minute walk away (depending on how hungry you are!) and serves up excellent freshly prepared local food daily. 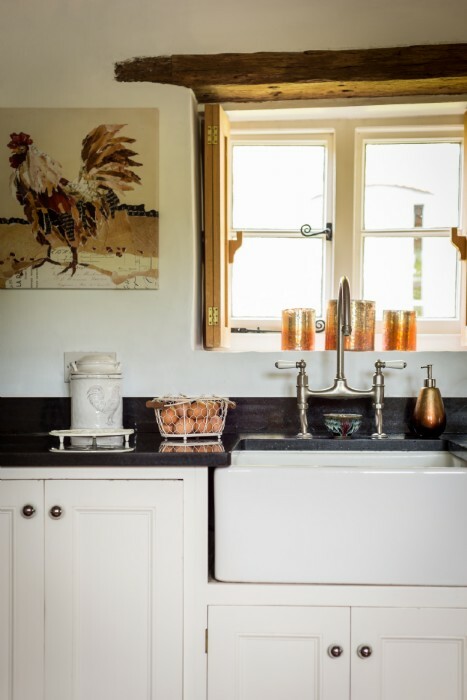 For diver caught scallop sashimi, foie gras and salted macaroons, The Harrow at Little Bedwyn is the place to go. 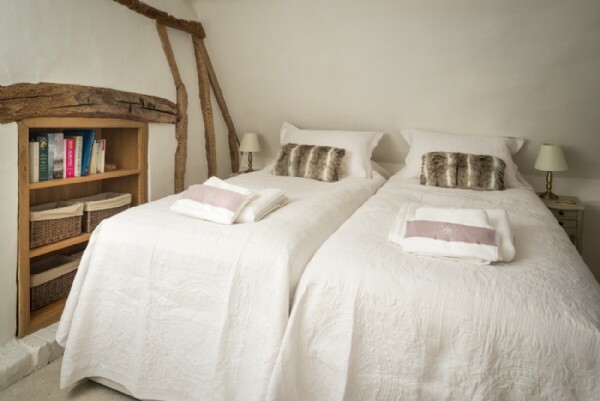 With its well-earned Michelin star, The Harrow offers exquisite food and a stellar wine list.